Samsung Galaxy Note 4 Released with Metal Design! Samsung has finally launched its Samsung Galaxy Note 4 ending perhaps the second most anticipated wait of the year after Apple’s expected big launch on September 9. Korean giant has been suffering some slowdown in its financial quarters and needs a big boost of business. For the big and better side of this release, Samsung has definitely put in some metal in the designing of the latest Note along with all the high-end specs. 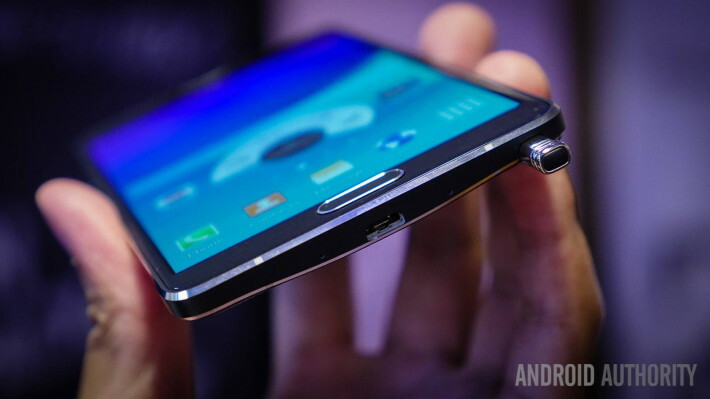 After Galaxy Alpha, Samsung Galaxy Note 4 is the second from company to sport a metallic design. Here are the details of the Samsung Galaxy Note 4 and a complete specs list. On the specs side, you can expect everything from Samsung Galaxy Note 4 that is being offered in all the flagships this year – Quad HD Super AMOLED display, Snapdragon 805 processor, and a 16-megapixel camera with optical image stabilization! But throw in the 5.7-inch display size with a reliable pen, you have satisfied quite a large segment of users with its increased screen real estate. Samsung has designed the latest Note very similar to its predecessors with similar styling and dimensions. However, the metal band around the edges does make the phablet both look good and feel better in your hands. While the device is same to Galaxy Note 3, latest Galaxy Note 4 released feels compact due to its chamfered edges. Samsung Galaxy Note 4 has all the sensors that Samsung Galaxy S5 carried, however, the fingerprint sensor is much more improved securing payments and data of the user. Samsung is offering the Note 4 in Gold, White, Black, and Pink. Not sure why pink, but the device definitely looks much better than the earlier Note!